There are so many powerful examples of local governments across the nation improving internal efficiencies while enhancing the way they deliver services to residents at the same time. 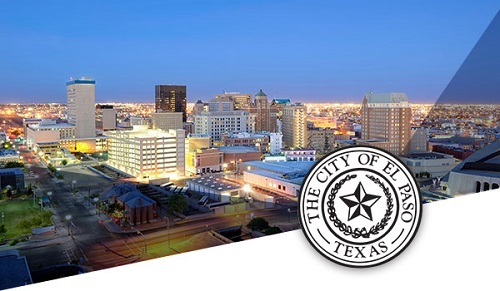 The City of El Paso, Texas, demonstrates how governments can take advantage of the Accela Civic Platform across multiple departments to improve efficiencies and get everyone on the same page. In El Paso, more than 26 municipal departments were struggling with manual, paper-laden processes. Slow response times to citizen requests and complaints, delayed permit and license applications and approvals, and backlogged caseloads were just the beginning. The Environmental Services Department (ESD) was in the process of implementing the Accela Civic Platform, which was catching the attention of other departments. It soon became the main solution that would help address many of the City’s operational challenges and position it as a service and technology leader. Want to learn more about how they did it? Watch videos of El Paso staff from each of the departments share their stories themselves. Have you improved efficiencies across departments at your agency? Tell us how you did it in the comments!